Watermelon is the kind of fruit that you sort of invest a lot of hope on (and which you can only buy if there are at least 2 watermelon fans in a family). With grapes, cherries, blueberries, if one fruit is sour/bland/blech, there are many more others in the bag on which you can pin your hopes on. But watermelon? There’s only that one solitary, humongous, heavy watermelon. If it’s bad, you will be disappointed. Because who buys 3 or 4 watermelons as back up? And oh ya, you’ll be stuck with a huge water-flavored watermelon. Have you noticed how people like slapping watermelons? I guess coz that’s the only fruit that they can slap (can’t slap oranges or durians). They slap it to listen out for…. Er… I’m not sure. Let me tell you how I choose. My success rate is about 9 out of 10. 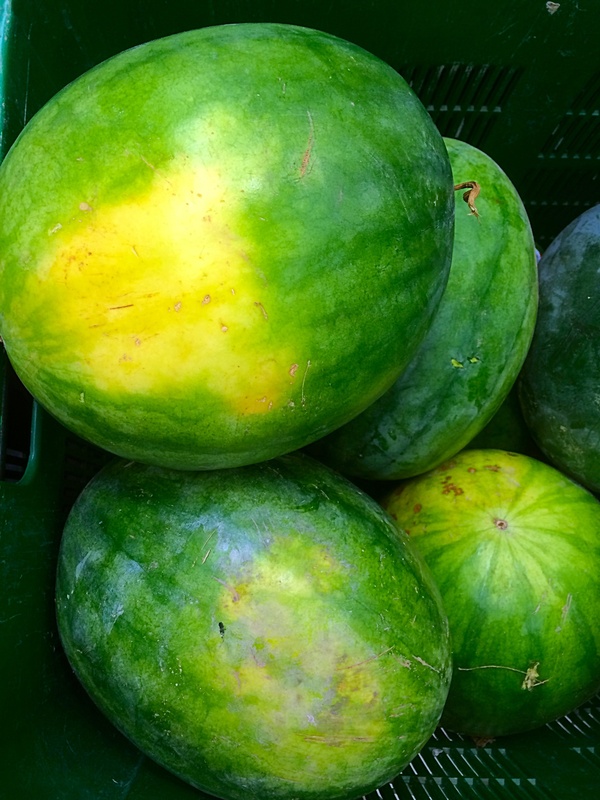 (1) Circle the watermelon stand (like an eagle) with a critical eye. If you see sad-looking fruits and flies hovering around, change plans or go elsewhere. (2) Choose the biggest one (more value for money, duh) and check for a creamy spot. That spot is an indication that it has been sitting on the ground long enough to develop that spot. In other words, it’s been given time to grow and ripen before being plucked. 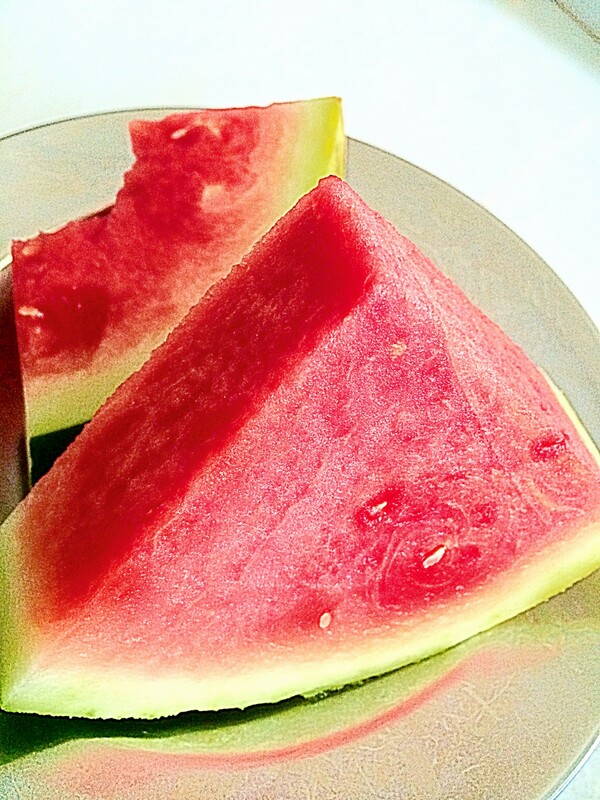 If the creamy spot is more yellow than creamy, that means the watermelon has been plucked and sitting around for too long. It may still be good but the flesh probably won’t be as firm. (3) Gut feeling. If after circling the watermelon stand and none of them are calling out to you, just walk away. You can’t force it.